From the grass to the felt: Teddy Sheringham remembers his past achievements in European football. 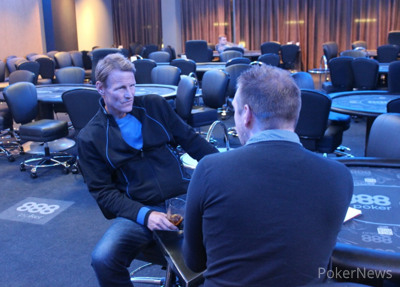 With his schoolboy grin, cool temperament and flair for the dramatic celebration, former England, Manchester United and Tottenham Hotspur striker Teddy Sheringham is made for poker. Having been at the height of his poker prowess in 2012, Sheringham stepped away from the game for a time, moving into European football management and away from the game played on the felt instead to the one on the grass. 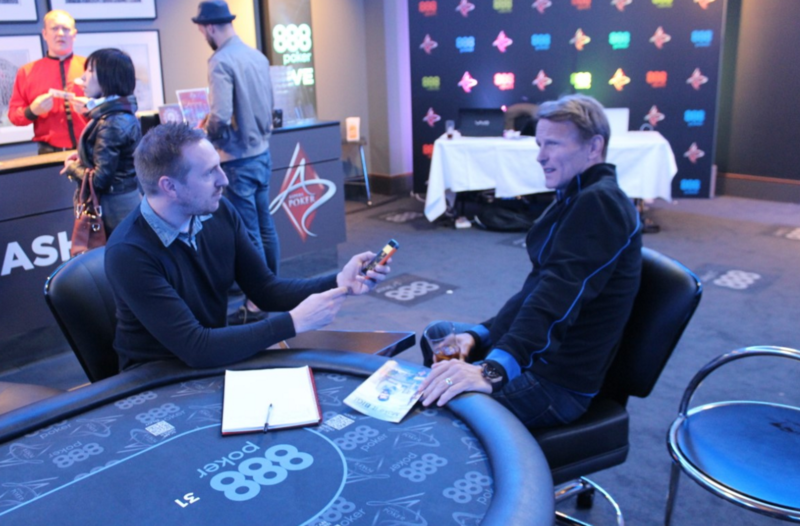 Upon his latest return to the poker table, PokerNews caught up with the London legend here at 888Poker’s London Live and started by asking about his memories from his most celebrated achievement in the game. In 2010, he reached the final table of the "forgotten" EPT stop of Vilamoura in Portugal. He was one of three Brits to do so alongside eventual winner Toby Lewis and the most successful British tournament player of all time, Sam Trickett. "What a lovely venue. Sunshine in the morning, playing poker in the early afternoon going into the evening, perfect. A bit of golf, too." Sheringham is known to enjoy 18 holes on some of the world’s best courses. He even played a round against his former England teammate Alan Shearer as part of the Geordie striker’s recent documentary on England’s journey at Euro ’96. He said his recent match with his old pal could have been a good game. "I’d just got off the plane from Dublin; I’d been sitting in traffic for two or three hours and then Shearer gets me out of the car and says 'Come on, we’ve got to [play] quickly.' My golf wasn’t the best, but the interview was good. Any chance to look back on Euro ’96 is always great," Sheringham said. Sheringham famously didn’t begin his England career until he was 27, but went on to play 51 times for his country, scoring 11 goals. He spent his entire career striving for greater success. He looked back on his personal highlights. "You look back when you’re finished, but it was always knocked into us at United that you don’t look back on anything while you’re there. Onto the next and onto the next, that was the way the manager was and he demanded that of us," Sheringham said. It could be a mindset the new batch of Old Trafford superstars will be keen to adopt…if they can get that elusive first title. "You’ve got to get success first," he said. "It’s hard to get success. It’s why people are paying such big money; everyone wants success. You’ve got seven or eight teams at the top of the Premier League, all hoping, expecting and demanding that they win the Premier League. Only one team can do it." Memories of playing for Manchester United clearly come flooding back for Sheringham, enjoying a glorious twilight of his career very much in the way Zlatan Ibrahimovic will hope to do this season. When he came on, the youngsters of Old Trafford already seemed to be there. "The Manchester boys of Butty, Neville, Scholes, Beckham, it was their club really," Sheringham remembered. "I felt like they had to bring players on. I was there for four years. I had my three-year contract, then signed for an extra year. I had the option of another year, but I wanted to come home. I had a fantastic offer from Tottenham to sign a two-year deal. Feeling part of that hierarchy that welcomed other people, I was good at that at Tottenham and for England. But at Manchester United, I was still fighting for my place. Yorkie came in and took it, so I was always fighting to get back in on that level." Despite the emergence of other strikers, Sheringham played a bigger number of games in the two seasons following his treble-winning success. "I was different to most strikers at the time," he said. "That always held me in good stead. I could adapt to playing with different players up front and not a lot of strikers can do that; they just play their normal game." One of the other Brits at that final table in Vilamoura, Sam Trickett, enjoyed a brief sojourn to South Africa at one point, helping other players with their poker game. It invigorated his own and he went on to become a player Sheringham still admires now. In his European football career, Sheringham went on loan at 19 to Sweden’s second-tier side Djurgården. While in Scandinavia, he went from scoring one goal in 12 first-team appearances beforehand to 13 goals in 21 games. "I thoroughly enjoyed my time in Stockholm," he said. "It was an experience. I came from Millwall playing in the reserves and the odd game in the first team. I went to Djurgården and it was in the Swedish second division. We were expected to win that division and I was in a good team. I was getting chances, scoring goals and I became a man out in Sweden. I was playing against other men who were playing for relatively big bonuses." His times in the reserves were a bit different. 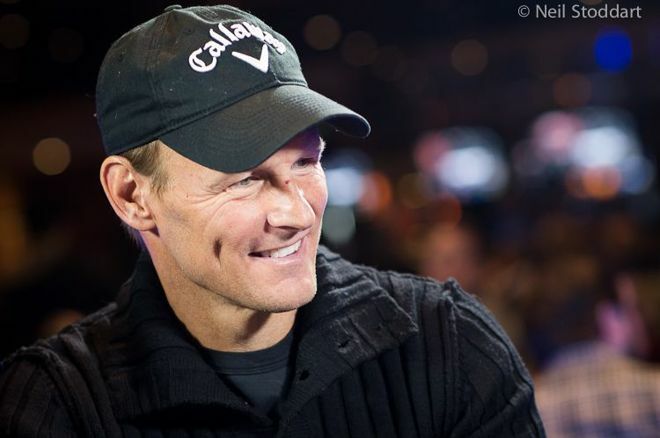 "I’d been playing against kids or players who didn’t want to be there," Sheringham said. "Suddenly I was playing for people’s livelihoods and it changed me from a young man to a grown-up man. I loved the experience." 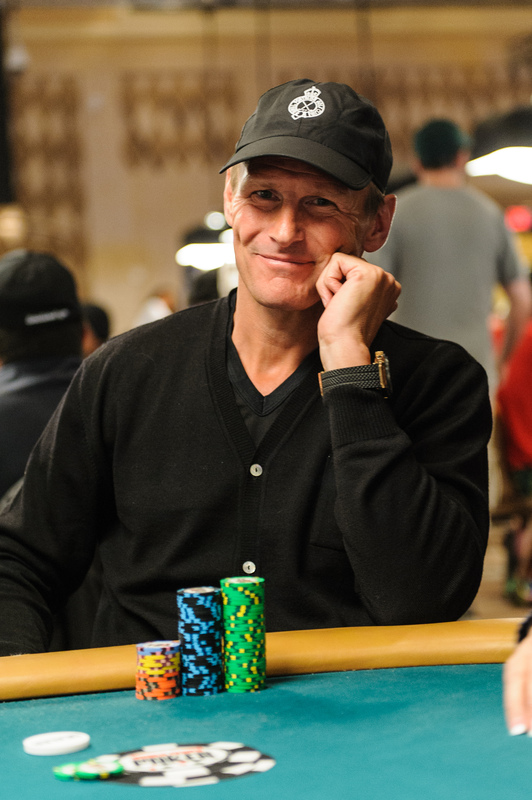 Sheringham returns to the felt with the familiar glint back in his eyes and the last 10 minutes forgotten like so many poker tables have to be for any player. Like the European footballer he once was and the poker player he is tonight, Sheringham only seems to know one way to look at life, facing forward. Check out more 888live Poker Festival London updates in PokerNews' live reporting section.